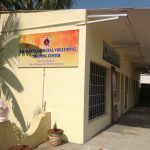 Rural Vocational Training Centre is a by-product of the deep concern and selfless thought of Sri Sathya Sai Organisation, India (SSSSOI)aiming at improving the economic conditions of the unemployed youth in a particular village and to create areas of self-employment. Also it streamlines the youth by helping them to focus and hone their skills rather than on unwarranted pursuits. 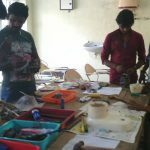 Skill training is offered totally free of cost along with free boarding and lodging at select few centres where the youth do not have access to the centre from their village. 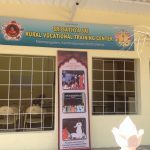 Skill trainings are catered according to the needs of the neighbourhood of that particular village by RVTC. 3.1 Chittur, Palakkad 20.06.2014 Kerala Electrical &Aluminium Fabrication. 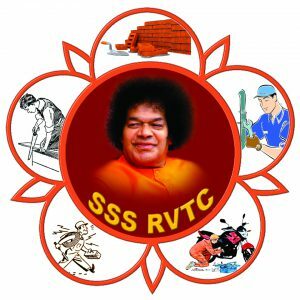 SSS RVTC, Erode District, Tamil Nadu: With the divine blessings of Bhagwan Sri Sathya Sai Baba, a two-day workshop was conducted on February 16th and 17th 2019, to Mahilas on making Paper bags, Cloth bags, Sanitary items & Jewellery making. 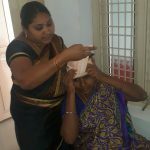 This training was given by Mrs Kalpana Hebleker and Mrs Shanta Bangalore at Sri Sathya Sai Rural Vocational TrainingCentre (RVTC), Chithode – Erode district. 45 Mahila sisters learned the skills in this excellent training. Certificates were distributed for the participants. State SSSRVTC coordinator Mr Ramakrishnan and District President Mr.Rajendran participated in the inaugural and valedictory programs. Following the training, many participants started making the products and moving forward to market them. With a prayer to Bhagawan to bless these mahilas in their self-employment venture. 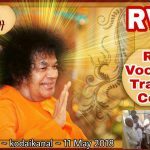 With the Divine Blessings of our Loving Lord Bhagawan Baba a two-day skills Training programme was organised at Prashanthi Nilayam by SSSSO Manipur on 21st and 22nd December 2018 as a part of RVTC program. 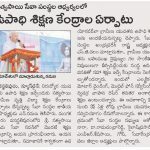 Sri KM Rao, All India Coordinator assisted in conducting the program. The training workshop was conducted by Smt Kalpana Heblekar, CEO Saferwe Foundation. 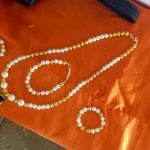 The skills imparted are in paper bag & cloth bag making, women hygiene products and fashion jewellery. Twenty-three Mahilas participated in the workshop and they were given participation certificates. 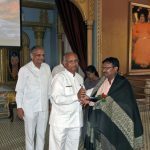 The valedictory function was graciously attended by Sri G.S.R.C.V. 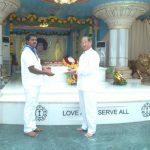 Prasad Rao, Member Secretary SSSCT and Sri N. Ramani, National VP, Sri Sathya Sai Seva Organisation, INDIA. With the Divine Blessings of our Bhagawan, a two-day skills Training programme was conducted by Chennai Metro South in Sundaram on 15th & 16th Dec 2018. 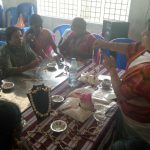 Training was imparted in paper bag, cloth bag making and women hygiene products’ jewellery etc. By Saferwe Foundation 64 Mahilas attended and they were given participation certificates. 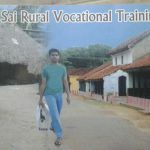 Sri Sathya Sai Seva Organisation, Maharashtra and Goa has been conducting vocational training with the objective of mobilising village youth in various districts of Maharashtra. 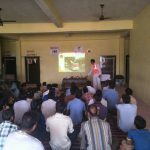 700+ village youth mobilised from all over Maharashtra got vocationally trained with employment assistance. All these youth are from extremely challenging economic background. The training was conducted through existing government approved institutions offering residential vocational training. 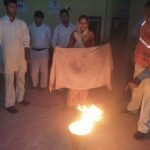 In a span of about 3.5 yrs, more than 700 village youth were trained in job oriented vocational training courses in reputed institutions like Don Bosco and ICICI Academy. Most of them are gainfully employed. 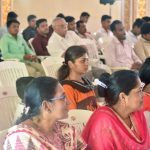 On Sunday, May 20th 2018 a felicitation ceremony was organised at Dharmakshetra, for all the students who performed par excellence in these courses and got employed many even in banks. Nine Ashram shalas (Tribal schools) have been adopted by SSSSO, Maharashtra organisation under a special programme to improve the quality of life of the students. Most of them got ISO with our assistance. 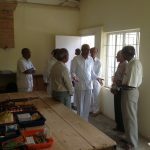 The Ashramshala staff were invited to witness the success stories of these Vocational students and motivate their own students to get them trained through us. The star performers were felicitated by All India President (AIP) of SSSSO, Shri Nimish Pandya and State President Shri Ramesh Sawant. State Presidents of MP, Tamil Nadu and Orissa were also present. Hon AIP Shri Nimish Pandya while addressing the gathering appreciated the 11 star performers employed in banks after vocational training despite challenging background. Hon AIP prevailed up on the Ashram shalas to consider encouraging their students to take advantage of the job oriented vocational training. He also mentioned that throughout the nation the Ashram shala seva being done by Maharashtra can be replicated for the benefit of Adivasi (tribal) students. He was all praise for the seva being done in Maharashtra and congratulated the team. 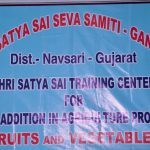 Sri Manoharbhai Trikkanad, The State President of Sri Sathya Sai Seva Organisation, Gujarat, inaugurated a new batch of Sri Sathya Sai Rural Vocational Training Centre at village Gandeva, Dist. 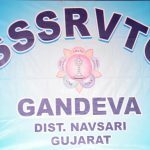 Navsari – Gujarat on 8th April, 2018(Sunday). 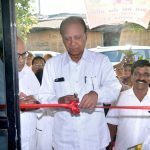 This RVTC was inaugurated by Sri. H. Srinivasulu (All India Tech Group Coordinator, SSSSO – India) on 16th December 2012. 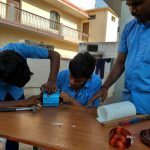 Updated on 21st May 2018: Sairam RVTC rural vocational training program in Electrical Wiring & Motor Pump set repair 9th batch at Tadipatri Anantapur-Andhra Pradesh state – 3 months course. Eight mahilas from surrounding villages have been admitted for a 3 month Training in Basic Computer course. Very competent trainers will give training. Sri. Santha Satish is the coordinator. It has the potential to develop into good Skill Centre. 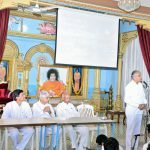 We pray Bhagawan to bless the Centre, the trainees, the trainers and the organisers. Further courses are being planned. 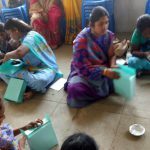 Skill Training was given to the ladies of SSSVIP village, Arambakkam, Kanchipuram South, Tamil Nadu. 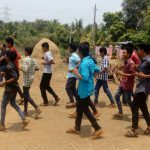 RVTC New Course: An excellent initiative to train Rural Youth for recruitment in the Indian army at Palakkad in Karinjalipallam SSSVIP village, Chittur Samithi, Kerala. Pre – Army recruitment training program started with 35 village youth and 3 Retired Army officers were the trainers. Course Duration was for 90 days. 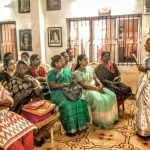 Vocational Training Centre Calicut – West Hill Samithi – Tailoring classes For Mahilas. 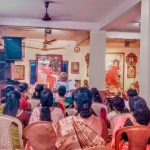 1) Fourth batch of Tailoring classes under Sri Sathya Sai Vocational Training centre, Thrissur Samithi commenced on 28th, Wednesday20 ladies registered for this course. 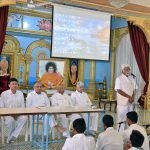 With the immense blessings of Bhagawan Baba, a Valedictory programme was organised for the first batch of SSS RVTC, Baredika Pura, Hindon City, Dist Kareoli, Rajasthan on 4th March 2018. 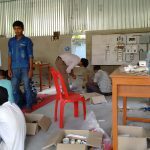 A first batch of 6 trainees successfully completed the 4 months training in electrical trade. 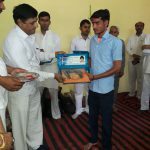 In this programme, free tool kits were distributed to the trainees along with one laminated photograph of Bhagawan. 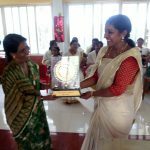 On this occasion, the members of the second batch were also felicitated. After the programme, State DM team organised DM training for all the participants. 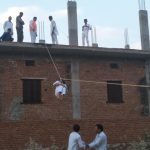 State Coordinator SSS RVTC Shri Randheer Singh, DP Kareoli Shri Sitaram Mishra, In-charge SSS RVTC Shri Narendra Sharma, State Service Coordinator Shri Dhanraj Gupta, DP Dausa Shri Vibhuti Pandya and Disaster Management Team members were all part of this programme. 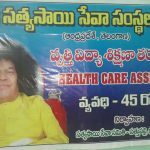 March 2018: Sathupalli-Khammam: VOCATIONAL TRAINING as Health Care Assistant for 45 days. 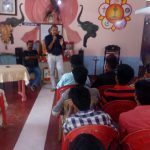 2) Palakkkad, Karinjalipallam … RVTC..Tailoring machine distribution..5 machine were distributed .first Batch…Bhajan Centre RVTCof chittur Samithy …Kerala … Palakkad dist. All the Centers report the performance in a standardized format , which was sent to them, and they started coming in . All the relevant Indices of performance are included in the format. So far reports from 16 centers were received in this format. These are consolidated into a single format for ease of reference and mainly to learn and implement the good features of those centers in other locales. 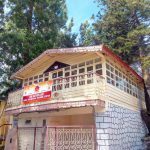 All the coordinators of these centers are devotees of Swami and naturally the inspiration to work, to teach, to influence and finally to succeed comes from Swami’s Sankalpa. 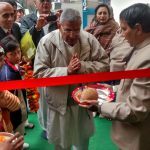 The trainers too, though many of them are not devotees of Swami, are inspired to help in the mission by seeing the selfless service of those involved to help the society. In the process, they get acquainted with our organisation which reinforces their faith and consequently their efforts. 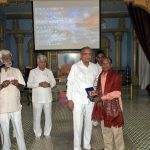 Like in any human Endeavor, though blessed by Bhagawan, there are a few needling problems to be overcome by our effort and His Will. Since the students come from poor educational background and equally poor cultural background, they are very special. So normal pedagogical training methodology is grossly inadequate. We need to adopt special methods which create the enthusiasm and urge to learn. So the effectiveness of the whole program depends mainly on the teacher. The traits needed for the teacher are not intellectual or academic brilliance but that of patience and perseverance in abundance. The Ex-Con( Example followed by Concept, not the other way round)) Training methodology followed,leads to better comprehension and participation. Use of video techniques is very essential and imperative along with live demonstration. So all the Centers need to be equipped with Video Projectors, CDs and other accouterments. The encouraging aspect is the feedback from parents that their children show lot of interest to learn and practice. 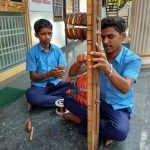 The main objective of this mission is to make these youth employable or start their own small repair shops to earn their livelihood in the villages. This, indeed, can be a strong supporting pillar for the SSSVIP scheme, since it is inclusive in nature. We need to collect data on these alumni to have a realistic conclusion. All centers have to include this in their reports. Few more such centers are coming up in the states of Rajasthan, Himachal Pradesh,Uttar Pradesh.. In the states of Kerala, Gujarat and West Bengal, where some centers are already functioning, more such centers are likely to come up in the next few months. 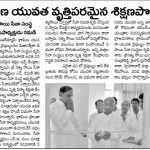 Tadipatri center in AP&T shall be developed for training in few more skills and envisaged to become model SSS RVTC. In conclusion, all the Centers are functioning very well and the enthusiasm of the coordinators is commendable. The response from the needy youth and their parents is good. To establish 26 centers across India in a short span of two years is commendable, if not miraculous. 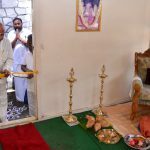 We can see Swami’s Hand behind this and the intended objectives will definitely be achieved.